I have not found anything poppy to write about this week. But just now i was kicked by an idea found via the random clicking online that i occasionally indulge in. “No Poo” is the idea 🙂 Sounds poppy to me. Its all about no shampoo usage. Raghu has been anti soap and shampoo for a long time. He just instinctively feels better without too much skin and scalp cleaning 😮 I struggle with it. I’ve recently been committed to finding solutions/inspirations for me… so i do not get in the way of my children’s natural instincts. And lo and behold i find “No Poo” 🙂 For those of you who still plan on visiting us and hanging out with us 😉 thank you. For those who need a little persuasion that we will not be maladorous here is a link: http://tinyurl.com/yoza3u or just google no poo and find the page that appeals to you. So Raghu and I are starting our new regime or lack thereof today. Warm showers as we feel the need, but no soap or shampoos. Maybe some of that vinegar and baking soda or lemon etc… if i feel the need. I’m ready to try it all as i’ve been loosing enough hair that i may as well go for the bald look… it may be better. I love finding new paths towards eco-ness. And not pouring money or shampoo down the drain is something up on the list. Shall post a pic if we are feeling brave and confident a couple of weeks down the line. I believe it takes a few weeks for our body to sort out its skin/scalp oil/balance. Funnily my face has been on a no-poo diet for years. This is the post where i can reveal that except for an occasional makeup-remover i have not used soap or cleansers on my face since i was a teenager. Thanks to a family friend who suggested i never rub my face, never apply soap and only splash water on my face when i feel like it and then ‘dab’ it dry not ‘rub’ it dry. I have often been told i have great skin. My one pregnancy pigmentation spot is the only little hiccup. No pimples, natural balanced skin. So maybe i should have taken the hint and spread the love. Suddenly can’t wait to see how this works out. For the last 3.5 years we have lived 20 minutes away from a fabulous facility initiated by the ace air-rifle shooter, Gagan Narang. I did not know this until said dear friend did online research and told me !! (I used to be proud of my online research abilities) Anyway… I was reading Tao of Physics and some other material recently that says something to this effect: our very thoughts create our universe…. ok those of you who are skeptical… i can’t back this with logic. I have sensed this deep within and found it happening time and again in my life. Thats my basis for belief. Anyway… loved that Raghu got what he wanted. The instructor is a young, friendly, very committed chap. 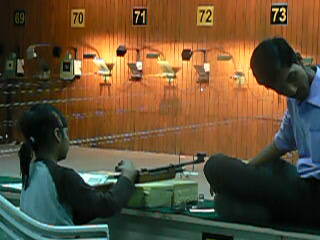 Raghu has hit dead center a few times, learnt to cluster his shots etc and has gained his respect. 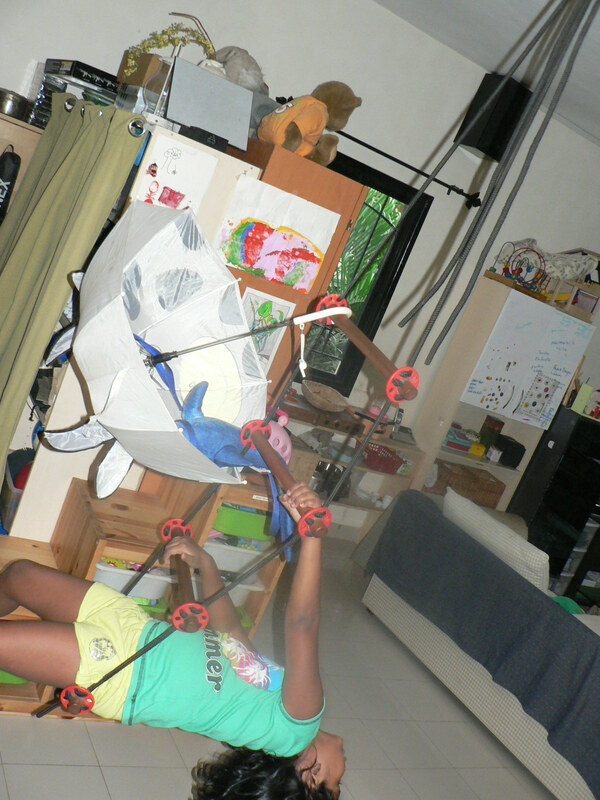 I think video gaming has a lot to do with Raghu’s ability to hit the target. 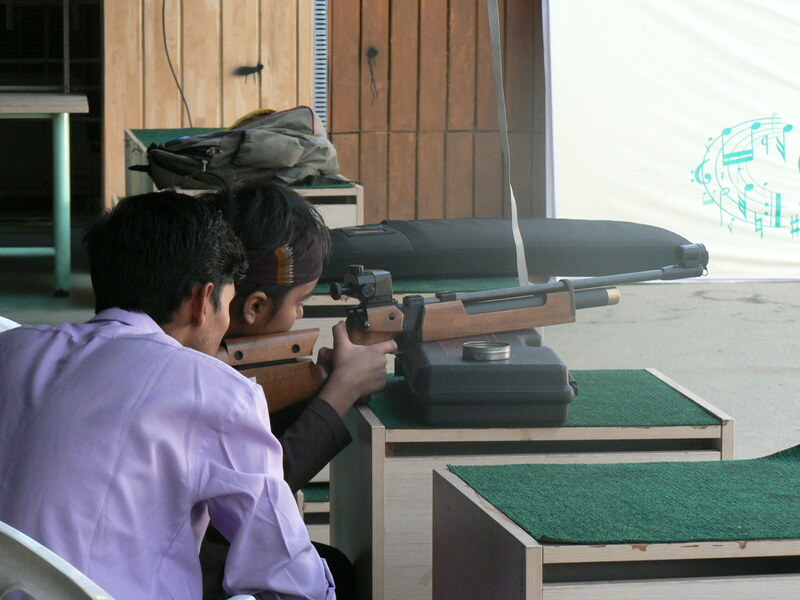 Raghu is currently handling an air-rifle gun that is about 3.5 kilos! So he mostly balances it on a couple of sponges and sits on a chair 🙂 He will slowly grow into holding the gun and standing. 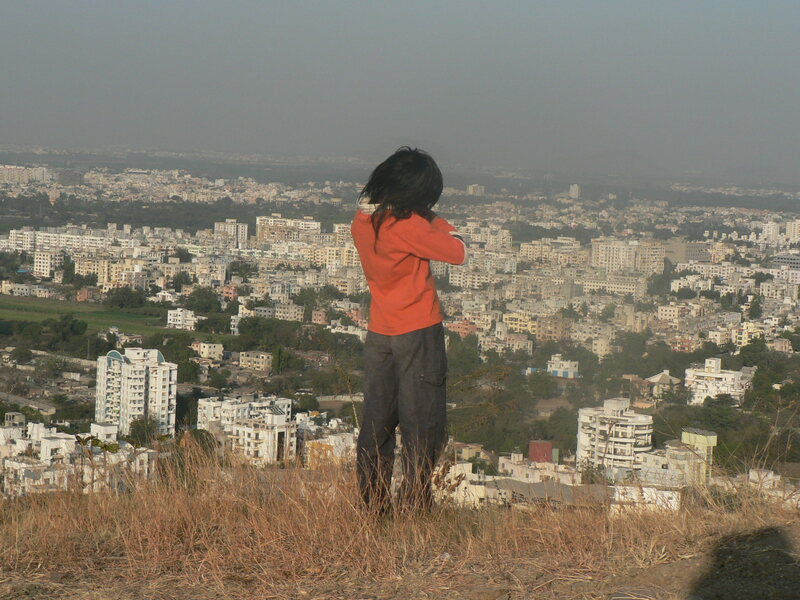 Raghu is turning 9 next month…. so he is young for this course. Here is one video and a couple of photos of Raghu and his instructor. 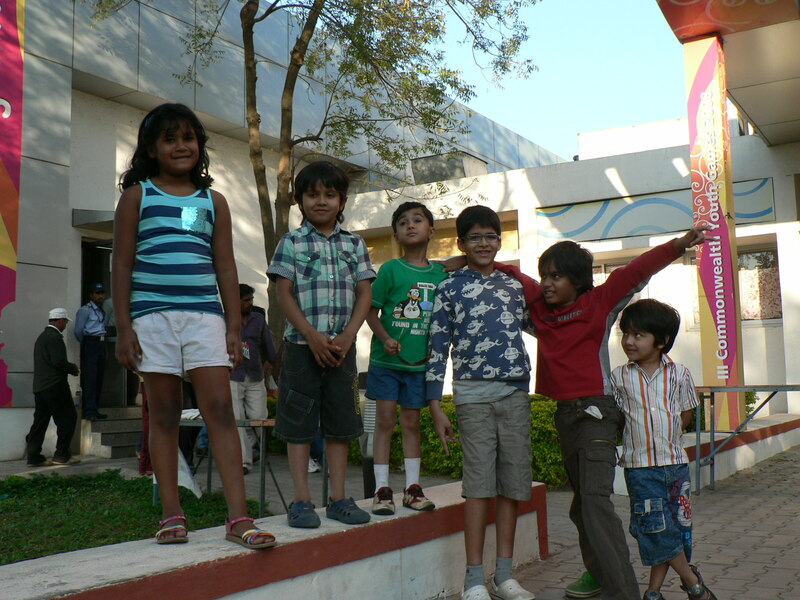 Some of our homeschooling gang and my neighbor’s son (who also happens to be one of Raghu’s best friends) at a local dog show. No we were not forcing this dog to jump up and push its nose up in the air. He was just very happy with us. 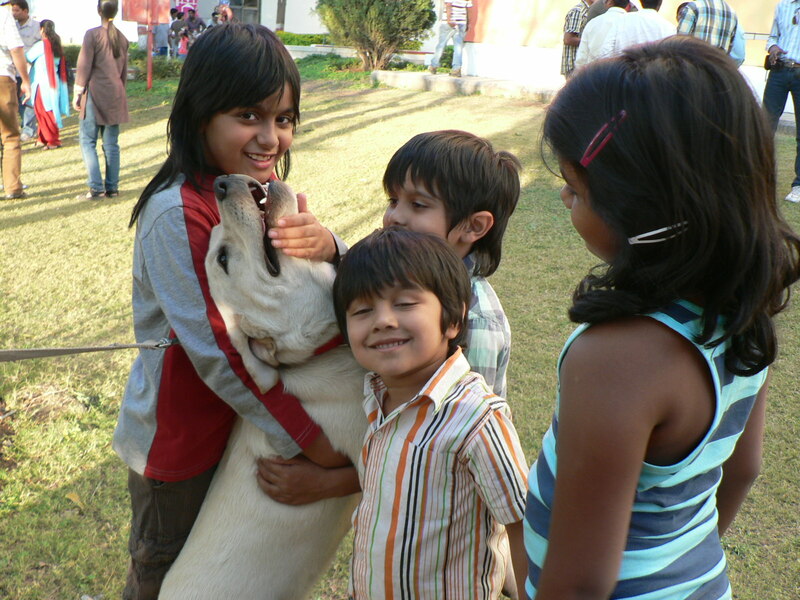 The kids loved touching all the dogs, hugging the ones who were huggable and generally running around. We have been having lovely cold weather so sunshine feels very good. 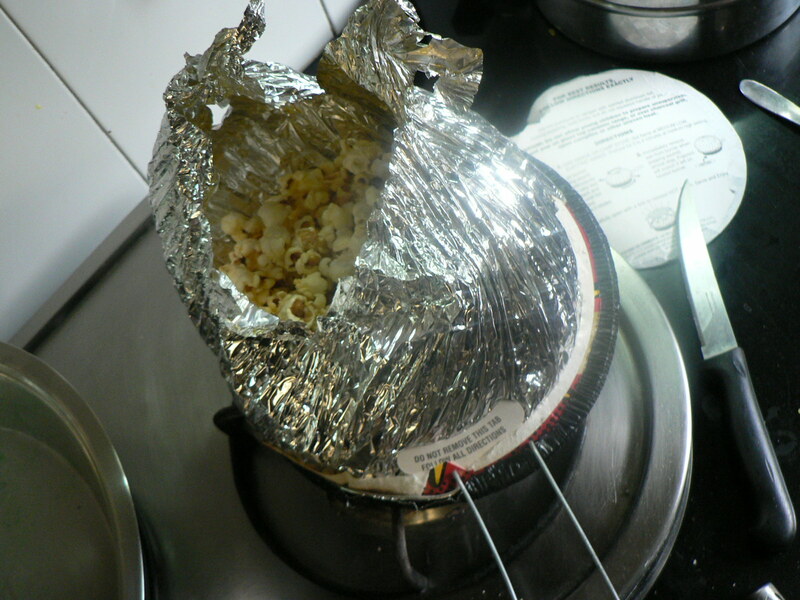 Loved Erica’s traditional pop-up popcorn gift to us 🙂 It was fun to watch and eat. 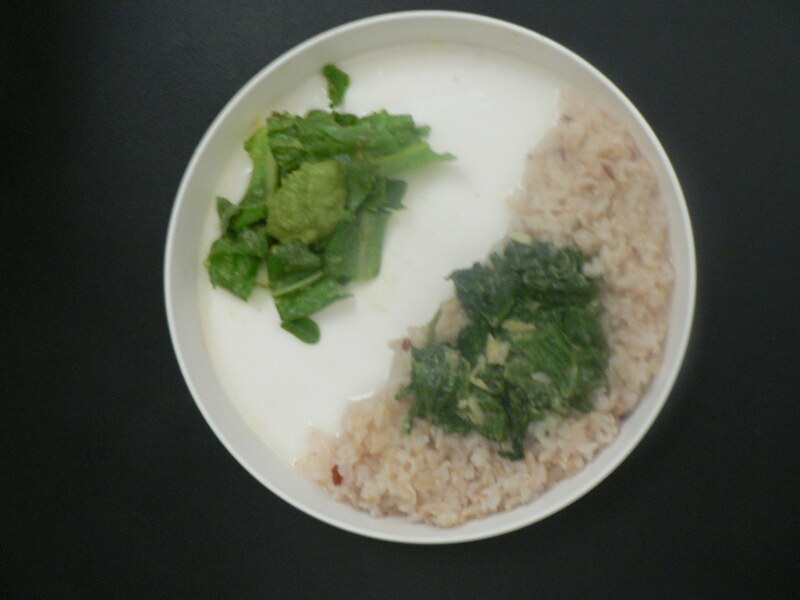 Raghu’s salad and spinach cooked with tahini and garlic over brown rice. It was looking so pretty and minimalistic, i had to photograph it. A sweet couple of shots of the kids by Ravi. 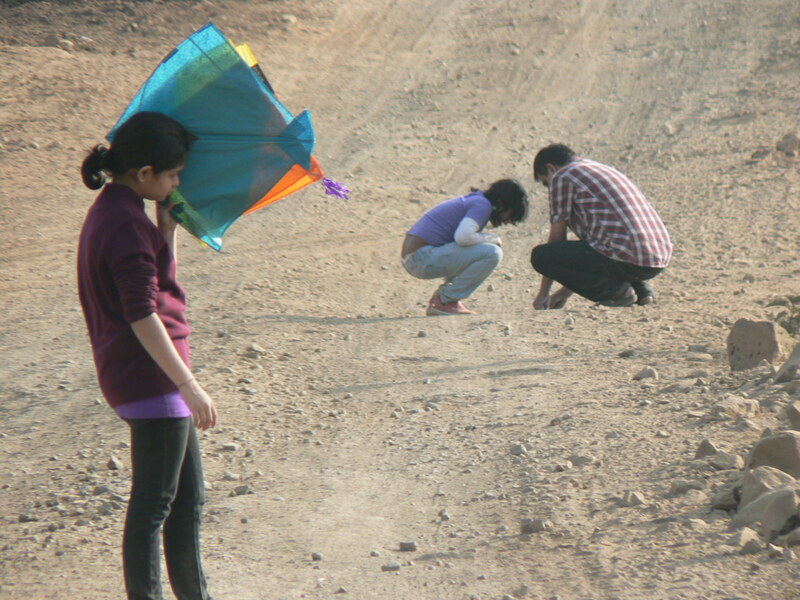 We were up on the hill on Sankranti for kite flying. The large group who were actually kite flying were a few feet away. My kids wanted to watch and not fly anything. So they seemed to be talking about the city and Raghu of course was aiming imaginary guns at a world that was under siege and mutants were crawling up the hill while humans were being bitten by zombies….. Oh and yes.. Raghu and Zoya are the same height now 🙂 Raghu is quite easy going about it even when many people point it out (pointedly 😉 He is taking joy in being himself. Zoya is my gentle giant who has such compassion and love for all of us. I wrote this recently on a forum and thought i’d post it here so friends and family with ideas for Raghu can chime in. sort of tanker and invent endless variations. of his love for all this. I want to align myself better with his love for guns. I am sometimes fine and then sometimes I feel like I can’t deal with it. 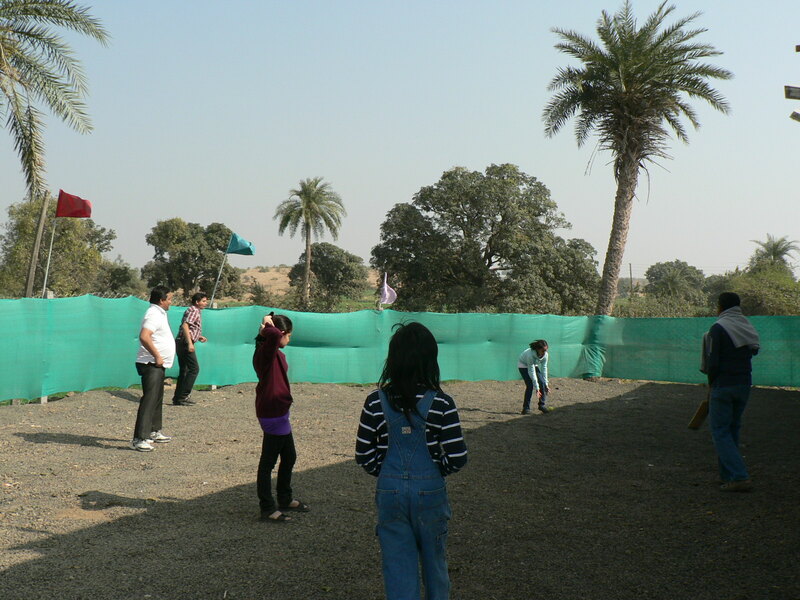 balloon shooting wall. Any one know of places for RAghu to do shooting under guidance? 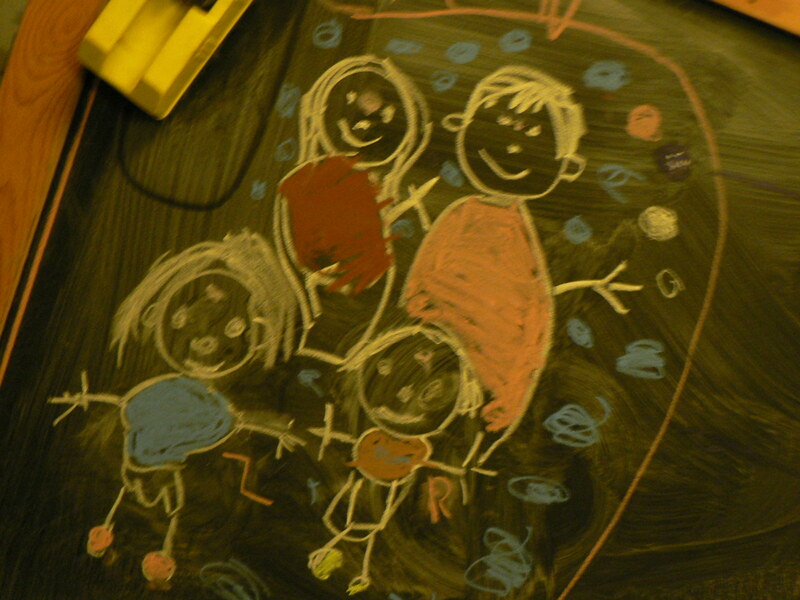 Zoya’s first (as far as we know 😉 drawing of our family. 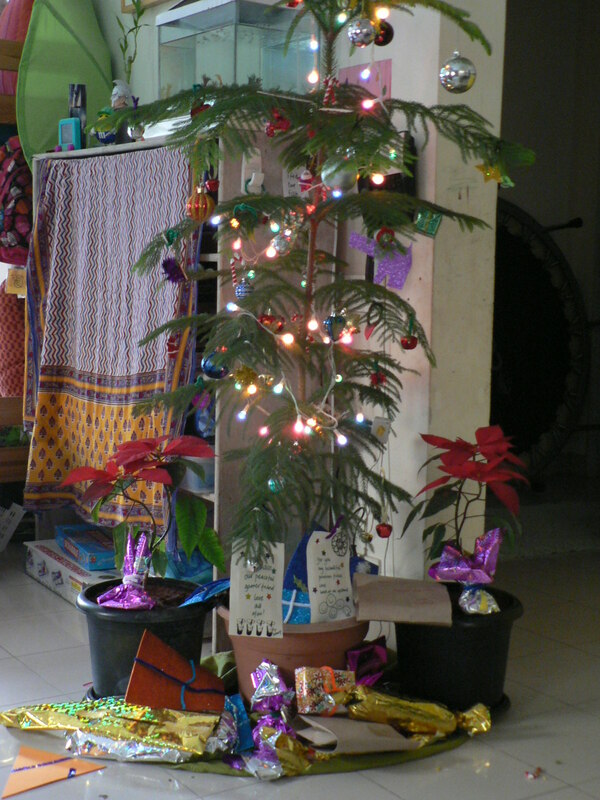 We got a real Christmas tree and some poinsettia this year. Some presents, cookie baking, video gaming, gun games and some Christmas cheer… thats how our day was. 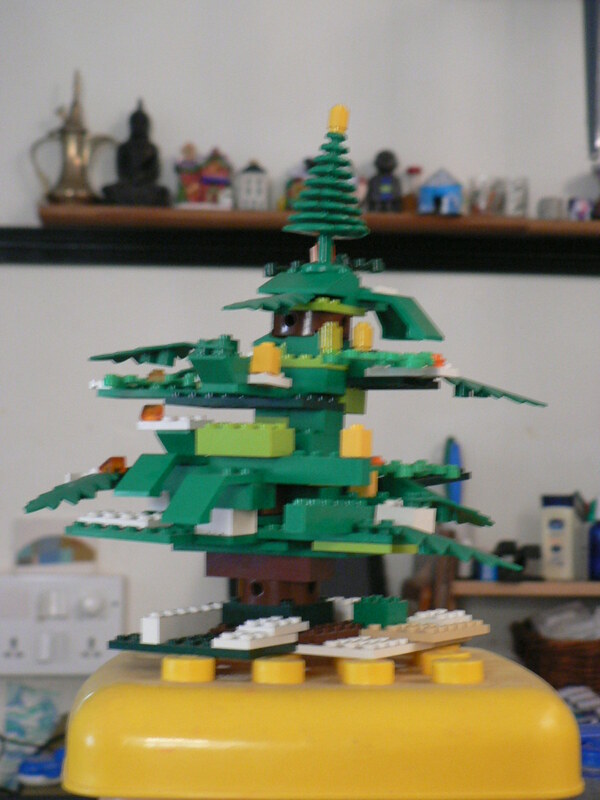 Raghu and I built a Lego Christmas tree. 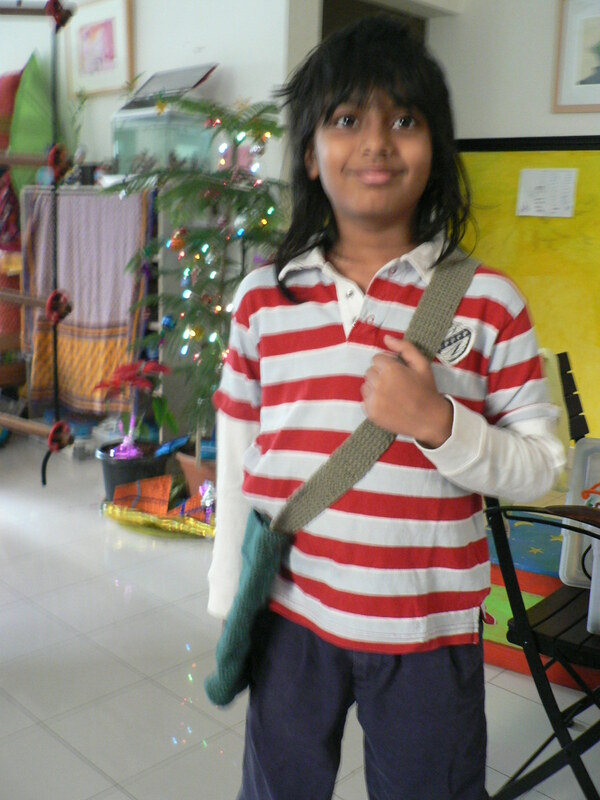 Raghu posing his Christmas gift… a bag i crocheted. 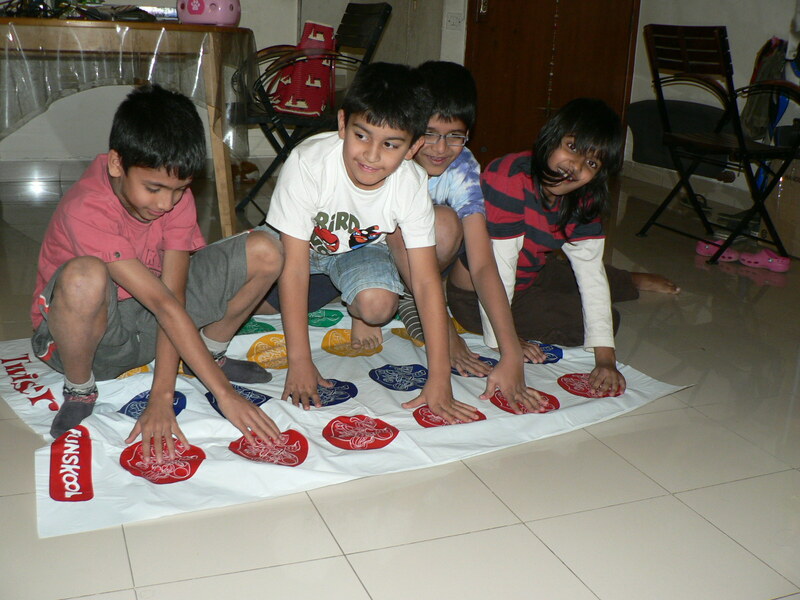 Raghu has been playing a lot more games like Cricket, Badminton, Pictionary, Masternind, Uno, Card games, Twister, some invented games, Charades (locally called dumb charades) etc. And Zoya joins in sometimes. She is awesome at Pictionary and Uno. We paid a surprise visit to Ravi’s sister in Indore. Meghna is pregnant and we thought we’d spend a few days with her. 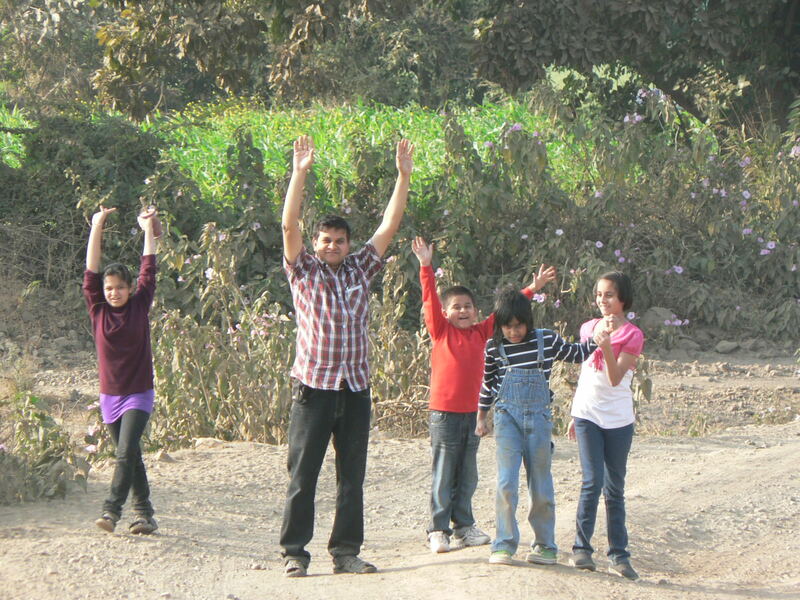 Yesterday we all went to a typical Dhaaba. 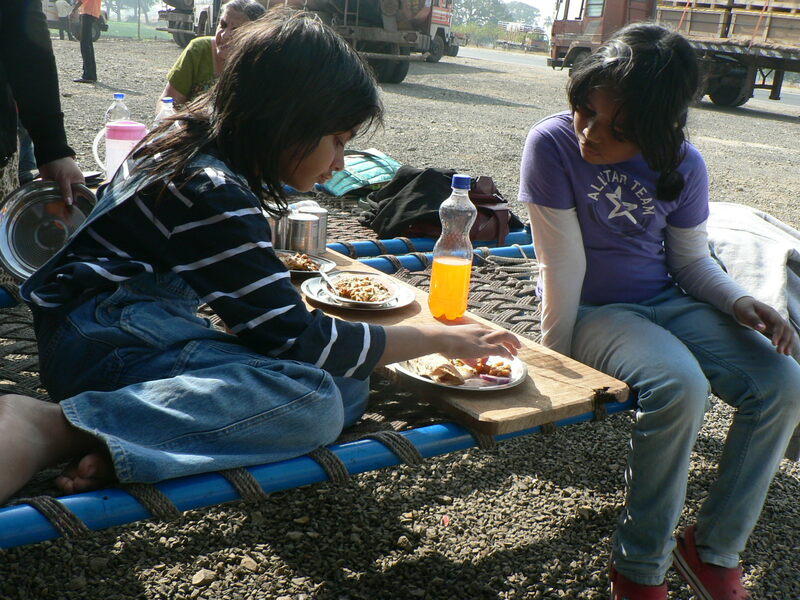 The cool weather, hot food and traditional seating made for a lovely experience. 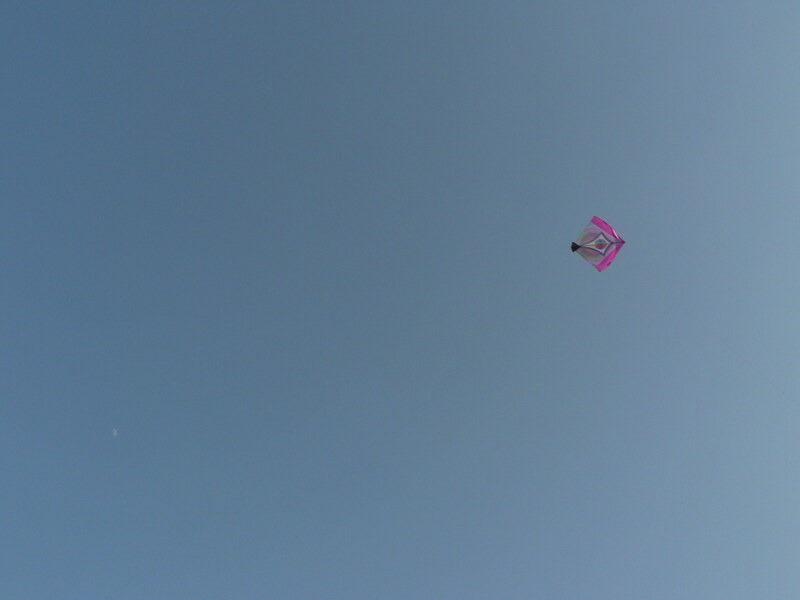 We flew kites after lunch. Dear Readers: I will be writing here:http://thebharadwajshine.blogspot.com/view/classic http://thebharadwajshine.blogspot.com/ from now on. A dear one asked me to get back to writing my blog again. My old blog chronicled our journey from homeschooling to unschooling and on to radically unschooling. It was a lovely blog to hold on to and post photos and little stories at. But with Raghu turning 9 in a month, Zoya turning 6 soon and Ravi and I being together for over 14 years, i feel like a new blog is in order. A new blog at the start of a new year. While thinking of a name for this blog the word ‘Shine’ kept cropping up, or its variants, as it seemed to describe much of our life. Attending the Shine Conference at Jellystone Park in NY a few months ago has kept the word shine up and foremost in our minds. So ‘The Bharadwaj Shine’ seems like a happy title for this next phase of chronicling our journey as a family (unschooling, no school, living life with children, inner journeys etc..). Trying to figure out how to stay in tune with my inner self and outer self is looking like a big part of my current journey. Not in order but rather all in their own time and way…. 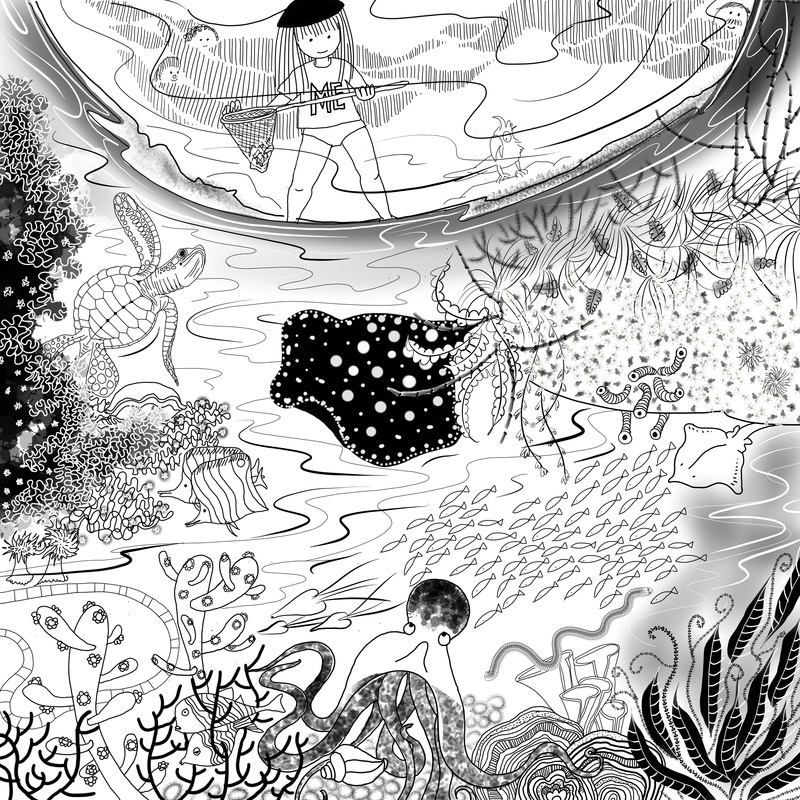 the vision of Auroville, Thich Nhat Hanh, Jack Kornfield, Natalie Goldberg, my dear Ravi, Urmila Samson, Dola Dasgupta, Georgia O’Keeffe, my children Raghu and Zoya, Anne Ohman, Erica Chase Salerno, Anna Brown, Sandra Dodd, Ashwini Pawar, my sister Veena, are some of the most important inspirations to me during this 37th year of my life. I owe them all a great debt. A debt of enormous proportions. One that cannot be re-paid. They are all different parts of my self. Happy New Year and love to all who read here.